At the beginning of his reformation, Huldrych Zwingli offered arguments that the Anabaptists then used for discontinuing infant Baptism. To avoid this Zwingli defined infant Baptism as an entrance rite into the Christian community. To argue for its practice, eighteenth-century Rationalist Lutherans, Schleiermacher, and most nineteenth-century Lutheran theologians adopted the same argument. Recent Lutheran baptismal liturgies also include the idea that Baptism is a community entrance rite. For Reformation-era Lutherans and Catholics, Baptism was not just an entrance rite but also a vehicle of God’s grace, though they defined grace differently. Catholics saw grace as a substantive quantity given in Baptism that had to be supplemented by additional graces given in confirmation and penance. Lutherans held that the grace given in Baptism was God’s gracious attitude toward the sinner and was sufficient for salvation throughout life and did not have to be supplemented by other rites or preaching, though some nineteenth-century Lutheran theologians moved towards this view. Whether faith was present or not—and for the sake of argument Luther proposed this in response to those who held that infants could not believe—Baptism was God’s act and was to be administered only once. For the Reformed, the Spirit worked in parallel to the water in Baptism, but the act itself did not bestow grace. It also symbolized the Spirit’s working and ratified the covenant relationship in which a child participated by virtue of birth from Christian parents. It was not necessary for salvation, and so emergency Baptism was not practiced. God’s promises in Baptism took the place of the child’s faith, of which the child was not cognitively capable. Thus, the Reformed had no reason to administer Baptism to children in danger of death. Catholics and Lutherans did. Lutherans, Reformed, and Catholics saw faith as the response to Baptism, but only Lutherans ascribed faith to infants at the time of their Baptism. Into the baptismal equation Catholics and the Reformed factored a child’s future faith which the parents and the Church had the responsibility of nurturing. In addressing questions about faith in the baptismal rite directly to the child, Catholic and Lutheran baptismal liturgies gave the impression that the baptized child actually believed, though only the Lutherans really held this. Zwingli saw Baptism as a pledge made by both the baptized and the community, an idea that resurfaced later among Rationalists, who saw it as a social contract not personally affecting the child. As much as Lutherans, Anabaptists, and, later, Baptists opposed each other on the legitimacy of infant Baptism, both saw faith as contemporary to administration of the rite; however, their definitions of Baptism and faith were different. Baptism for Reformation-era Lutherans was God’s act and could be administered only once. Faith was trust in God for Christ’s sake and did not require cognitive reflection. For Baptists, Baptism was an act of faith, obedience, and confession of which children were not capable. It symbolized the believer’s faith and confession and could be administered more than once. Luther argued that one could not know for certain that adults had faith, since we only had their word. In the case of children, we have God’s word that they can believe. For Luther, the Baptism of infants is the norm. 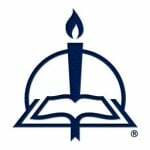 Luther’s belief about baptismal regeneration and infant faith in Baptism held sway in Lutheran theology until the eighteenth century, when Rationalist Lutherans no longer saw Baptism as a working of God’s grace and hence not a factor in creating faith. Children lacked the rational capacity to believe. Infant Baptism was seen as an entrance rite into the community that could safely be omitted, a position close to Zwingli’s. They also espoused historical-critical views that Jesus intended Baptism only for His time and that there was no evidence that the apostles baptized infants. Baptism as a sacrament for children arose in the post-apostolic era. Historical skepticism was not part of the Reformation-era debate on Baptism. Rationalists saw reason as a source of divine knowledge first as a supplement to revelation and eventually replacing it. The supernatural world was submerged into the natural or rational world and reason was key to understanding both. Faith was seen as a function of the reason that was able to sift through the physical evidences to find God. Of this process a child was incapable and so was found to be incapable of faith, a position already put forth by the Reformed. The Council of Trent had gone so far as to condemn the Lutheran doctrine of infant faith. By the eighteenth and nineteenth centuries, Rationalist Lutheran theologians had come around to the Catholic and Reformed view that infants could not have faith. Enlightenment theologians went further in holding that children were born without original sin, had no need of forgiveness, and, in any event, Baptism did not offer it. Baptism only ushered the child into the Christian community where moral improvement took place, but the baptized child had no advantage over the unbaptized one, since by birth both belonged to the community. Rationalist Lutherans put forth convincing reasons for discontinuing infant Baptism, but instead of acting on the merits of their own arguments in dropping it like the Anabaptists had, they argued for its continuance and defined it as a rite holding Church and society together. In the beginning of the nineteenth century, Rationalism’s confidence in reason had been undermined by Immanuel Kant, who held that human beings possessed a moral sense to decipher right from wrong. From this he argued for God’s existence. Influenced by Kant, Schleiermacher replaced reason as the source of religious knowledge with the “feeling of absolute dependence,” the equivalent of faith. Appropriately, he called his dogmatics The Christian Faith (Der Christliche Glaube). Jesus possessed this God-consciousness, Gottesbewußtsein, to the highest degree and in sharing it with His followers, the community of believers—the Church—came into being. Within this community, one’s consciousness developed from self-consciousness to God-consciousness. Like the Rationalists, Schleiermacher defined the Church sociologically as a society and was unconvinced by the biblical arguments for baptizing infants, who lacked the consciousness requisite for faith. Baptism could serve as an entrance rite into the community where God-consciousness could be awakened. There is wide agreement among those who practice Baptism that it is administered in response to a confession of faith. For some, Baptism is part of that confession. Two arguments against baptizing infants are their inability to believe and to articulate their faith, if they had any. Catholics substitute the faith of the sponsors or the Church for the child’s faith, a solution not possible for Protestants, who hold that one is justified by one’s own faith. Baptists address the faith issue by baptizing only adults or more mature children who make their confession of faith. Children cannot believe, and their innocence exempts them from the consequences of original sin. This compromises the Reformation principle of justification by faith. The Reformed practice infant Baptism but agree with the Baptists that infants are incapable of faith. Their Baptism serves to confirm the covenant relation they already possess by birth from Christian parents, and it anticipates future faith. To allow for infant Baptism, nineteenth-century Rationalist Lutheran theologians offered views that were indistinguishable from Reformed ones. Children of non-Christian parents were ineligible for Baptism. Recent Catholic liturgical reforms laid down similar guidelines. From Infant Baptism in Nineteenth Century Lutheran Theology, pages 5–9 © 2011 David P. Scaer, published by Concordia Publishing House. All rights reserved. 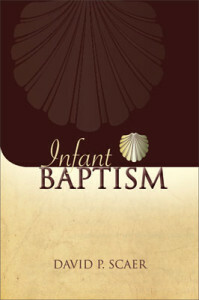 To order Infant Baptism, please contact CPH at 800-325-3040 or visit www.cph.org.